From the moment we met David and Sarah, we knew that this wedding would be a celebration of diverse cultures and traditions. 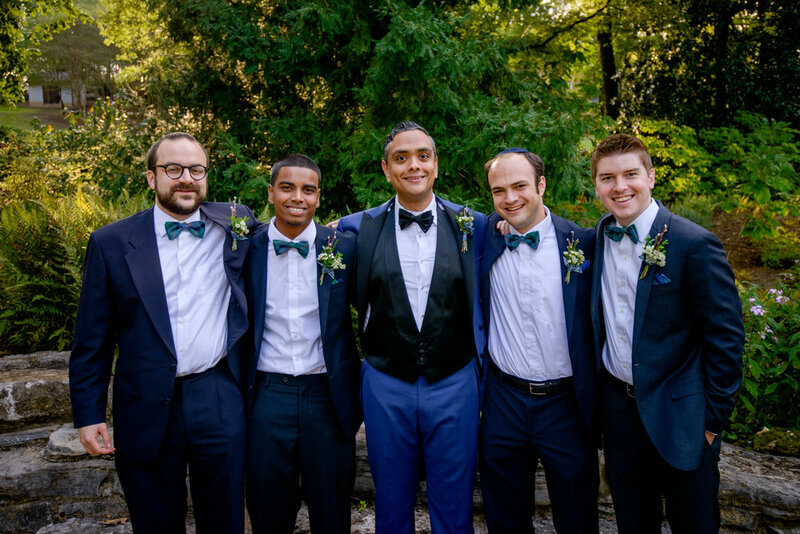 From Sarah's family's Scottish heritage to David's Jewish traditions and Indian ancestry, this wedding would be wrapped in vivid culture and savory aromas. 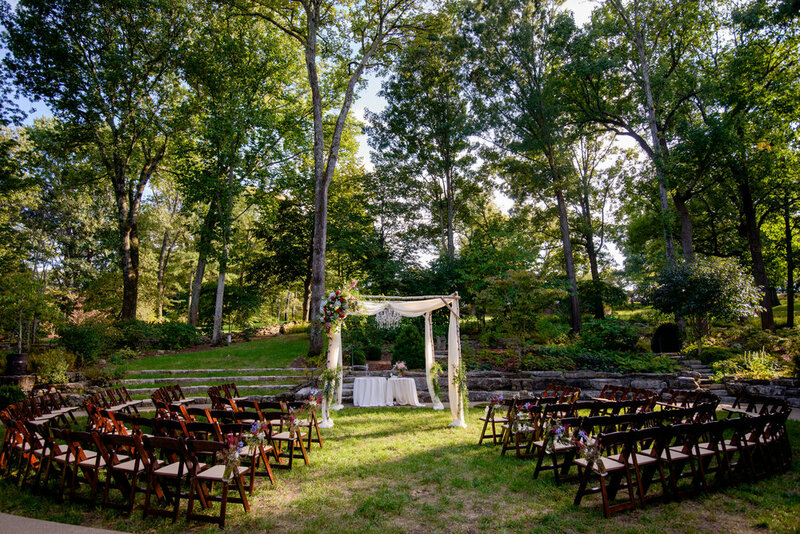 David and Sarah's wedding ceremony was nestled in the Howe Garden at Cheekwood under a Jewish chuppah constructed and draped by Visual Elements. 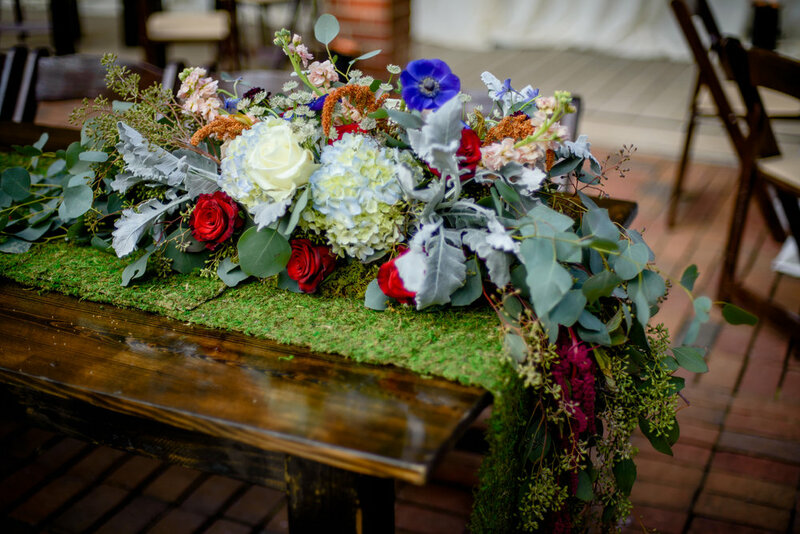 We added our own stunning floral design including deep burgundy dahlias, a crystal chandelier creating a magical sunset garden wedding. The couple's love of varied genres of music blended into a symphony of musical scores including Sunrise Sunset, Tale As Old As Time and When You Wish Upon A Star. Include a Groomsmen processional to the Star Wars Imperial March and their guests were beyond amazed! 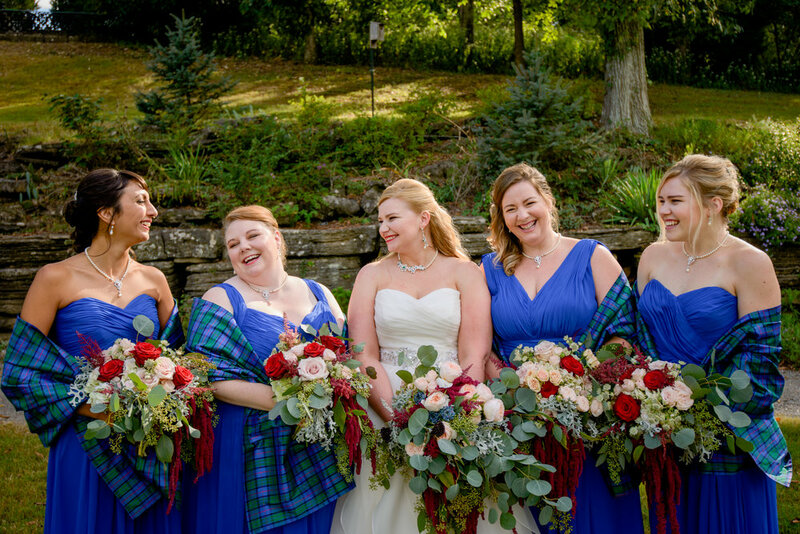 Inspiration for the wedding design began with swatches of the bride's Scottish tartan provided by mom. The tartan rich in blues and greens and imported from Scotland was used in wedding party apparel, table runners and tiny hand-made (by us!) rosettes for the bride's bouquet. The blend of cultures didn’t stop at design. Clean Plate Club created a masterful combination of flavors representing the bride and groom's tastes. This began with an array of appetizers including deconstructed crunchy shrimp rolls, Nashville hot chicken bites and Tandori chicken skewers. Dinner continued the multicultural theme with a Pickle Bar, Guacamole station, Farmers Market Salad station, Carved herb and salt crusted NY strip and late summer grilled veggies/herb roasted fingerling potatoes.The literal icing on the cake was Dessert Design's wedding cake and ice cream from Jeni's. The bride also brought us their favorite board games and playing cards to be used in a unique tablescape design. Big Events floral designer Bayley Smith, was able to bring all of these unique items together in a whimsical eye catching design that spoke to this game playing couple's personality. Caricature artists were also on hand throughout the reception, a real treat for guests. David and Sarah gave us a wealth of inspiration for their storybook wedding and were a joy to work with from day one. Mazel Tov! A special thank you to the photographers, Greg + Jess for these amazing captures!